Salmonella – You Asked It! 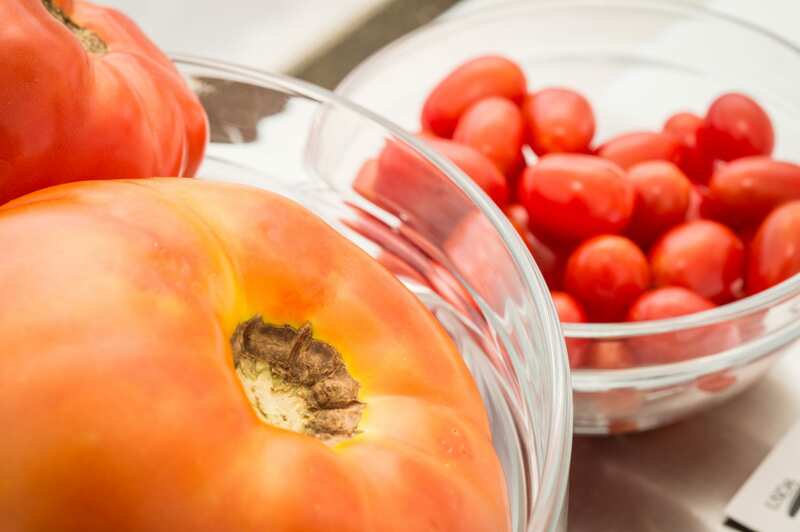 A recent foodborne illness outbreak occurred in northeast Kansas due to contaminated fresh tomatoes served at a church supper. Preliminary investigation results report 69 illnesses and 14 of those tested positive for Salmonella Newport. The tomatoes came from multiple sources so an environmental assessment is underway to determine the contamination source. Salmonella Newport is the third most implicated microorganism in U.S. foodborne illness outbreaks. It tends to survive in extreme conditions such as low relative humidity, high temperature, and UV exposure. It also tends to survive on the skin surface of tomatoes. It can also become internal during plant growth as it could come from contaminated water and soil. Therefore, care in handling fresh tomatoes from farm to fork is important. In the kitchen, take care in preventing cross contamination during tomato preparation by keeping surfaces and utensils clean and sanitized. All cut tomatoes should be stored in the refrigerator within two hours. Always wash your hands before and after handling any food as dirty hands are a significant source of foodborne illness. Salmonella is a bacteria that was discovered by an American scientist named Dr. Salmon, and has been known to cause illness for over 125 years. Two types of crackers were recently recalled due to Salmonella contamination from whey powder. While this was a voluntary recall by the whey powder supplier, it highlights another challenge in food manufacturing. Crackers are baked and that heat will kill Salmonella. But the recalled crackers had a topping added after baking that contained the whey powder. Adding the whey after any baking or cooking has occurred, such as the application of seasoning powder, icing, or other topping components that include the whey powder can introduce pathogens such as Salmonella. Post-baking contamination has previously been associated with foodborne Salmonella outbreaks. View the list of recalled products at www.fda.gov/Food/RecallsOutbreaksEmergencies/SafetyAlertsAdvisories/ucm614437.htm. In 2016, a record number of illnesses were linked to flocks of backyard poultry. As of May 25, 2017, 372 people have been infected with strains of Salmonella traced to backyard poultry flocks. Of these people, 71 have been hospitalized and 36 percent are children under the age of five years old. Raising poultry at home has been common in rural locations for years. Small numbers of poultry are allowed within urban city limits. But care must be taken when caring for the flock and handling the birds. Always wash your hands after handling the birds or any equipment where they live. Do not let birds inside the home or around areas of food preparation or serving. While baby chicks are cute, do not snuggle or kiss them. Clean poultry related equipment outdoors. Collect eggs often. Wash your hands after handling eggs. Refrigerate them after collection. 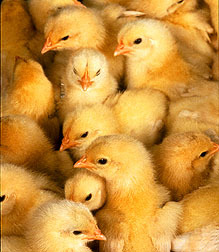 For more information on this outbreak, see https://www.cdc.gov/zoonotic/gi/outbreaks/livepoultry.html. More people are choosing to raise poultry, such as chickens or ducks, as part of a greener, healthier lifestyle. However, it’s important to consider the risk of illness, especially for children, from handling live poultry or anything in the area where they live and roam. It’s common for chickens, ducks, and other poultry to carry Salmonella, a type of germ that naturally lives in the intestines of poultry and many other animals. Even organically fed poultry can have Salmonella. While it usually doesn’t make the birds sick, Salmonella can cause serious illness when it is passed to people. Always wash your hands with soap and water right after touching live poultry or anything in the area where they live and roam. Adults should supervise hand washing for young children. Use hand sanitizer if soap and water are not readily available.